Listed in order of first name of artist or group. Ones beginning with a number appear under the first letter of the number (eg: '4-Star' is under 'F'). 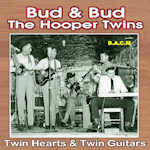 Hofner's band created a unique and highly distinctive style of Western Swing, blending Tex/Mex and Czech Polka influences. 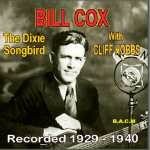 This selection spans their recording career all the way from the 1930s to the mid 50s. (May new release, No. 2). 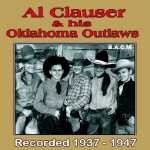 AL CLAUSER & His Oklahoma Outlaws BACM CD 594. 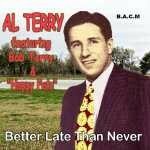 Guitarist, songwriter and bandleader Al Clauser is reputed to be originator of the term “Western Swing”, using it as early as 1928, several years before it became mainstream popular with the likes of Bob Wills and Milton Brown. 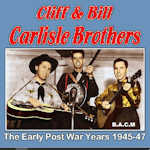 Clauser and his band had popular radio shows in the 1930s (WHO in Des Moines, Iowa) and then in Tulsa, Oklahoma on KTUL Radio from 1942. 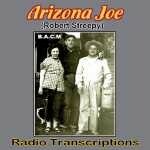 Our CD features mainly transcription recordings including several outstanding instrumentals. 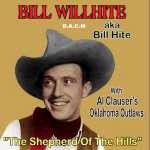 Al and his Oklahoma Cowboys were also featured as session players on our Bill Willhite CD 566. 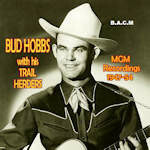 Obscure country singer/guitarist who cut some 40 sides for the 4Star label between 1947 and 1950 with some top session musicians. We have selected the best, nice mix of songs many with a Western Swing feel. 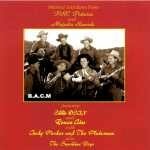 A third volume of recordings by this superbly talented Western group which many fans rate more highly than the Sons of The Pioneers. 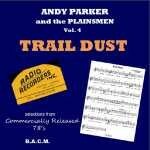 This selection features radio transcriptions lovingly restored by Andy’s son, Joe Parker. 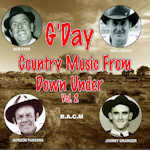 As well as their excellent and distinctive harmony vocalists the band had some of the best musicians of the day including accordionist Leroy Kruble and classically trained violinist Harry Sims on fiddle. 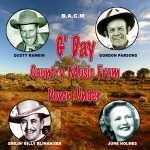 Nice mix of traditional and more modern western songs. 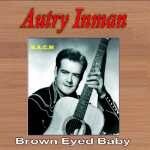 Nice straightforward 50s country here with 28 tracks , mainly released on his own "Sure" label from this blind dairy farmer and country musician. 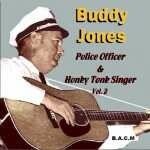 Great version of Joe Cannonball Lewis' "Truck Driver's Night Run Blues". 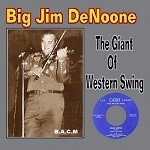 Also features some early instrumentals with fiddle wizard Kenny Baker. 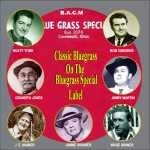 Pioneering 6 piece Western Swing band which spawned the careers of, among others, Jerry Irby and legendary songwriter Ted Daffan. 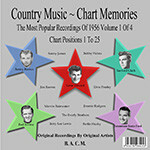 The 26 tracks selected for the CD date from 1937-44. 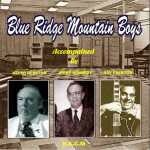 Many tracks feature Ted Daffan's fine steel guitar. 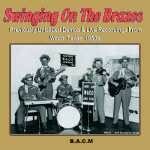 A further selection (carrying on from CD 282), with examples from each of six different line ups of the band – but all of them Western Swinging! 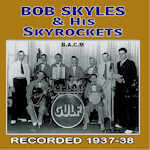 Dates range from 1941 to 1953. 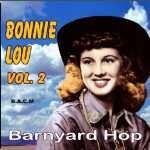 Fine Western Swinging tracks recorded between the mid 30s and mid 40s; mix of vocals and instrumentals - 21 fine recordings. 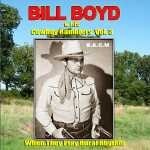 This second collection concentrates mainly on Boyd's early 'Cowboy Ramblers' recordings although we also include a few post war RCA Victor tracks; Boyd was one of the major figures in the development of Western Swing but these recordings show there was always an undercurrent of country in his vocals and guitar work. The musicianship is always excellent, reflecting his contemporary dubbing as the 'King of Instrumentals'! 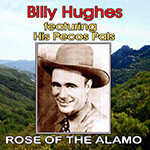 A third collection from the great Texas singer, guitarist and Western Swing band leader, whose groups over the years featured many of the top Western Swing musicians of the era; 22 tracks from the 1930s and four from c. 1950. 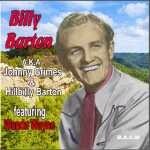 Impossible to listen to and not start foot-tapping (or getting up and dancing!) 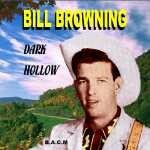 Thanks to Kevin Coffey for the research and informative liner notes. 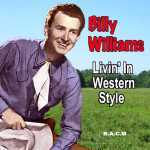 Some fine Western Swing songs and instrumentals by this fine artist (one with a somewhat erratic private life), from 1954-56. 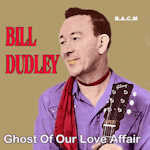 Selection of early to mid 50s recordings here from the ace guitarist, arranger and producer. 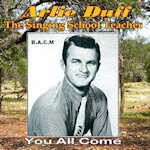 Known as much for his success with popular hits (producer and session man, including for Elvis Presley, Chubby Checker, Nancy and Frank Sinatra, Jan & Dean, The Ventures, Willie Nelson, The Everly Brothers, Wanda Jackson, Randy Newman, Nat King Cole …), here are some fine tracks showcasing his country side. 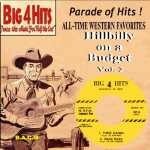 There are 24 songs from "Tall Texan" Walker here from his late 1940s/early 1950s period including his great "Backstreet Affair". 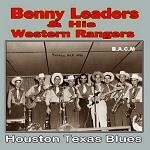 25 tracks - most of them never before available on CD from this legendary Western Swing band. 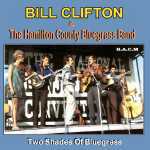 Great takes on the classics "Nobody's darling but mine", "Don't fence me in" and "Silver dew on the bluegrass tonight" . 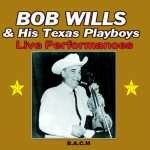 For Bob Wills fans, a collection of exciting live and radio recordings, not hitherto widely available. 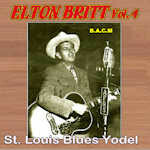 Opens with an off air capture of Bob’s second ever Grand Ole Opry appearance – a superb hot version of Wills’ classic Beaumont Rag. 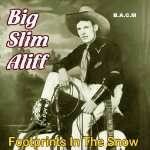 Ends with some fine 1951 tracks taken from WFAA station Dallas. Some great band line-ups. 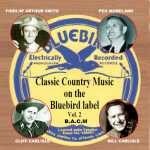 Mix of early Country and Western-Swing on this 30s/40s compilation, some with nice steel guitar accompaniment. 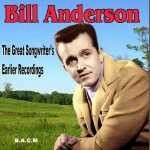 Prolific singer/songwriter ("Song of the old waterwheel" and "I still write your name in the sand")/ musician with a selection of his 40s/50s recordings. 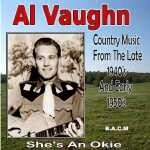 An interesting slice of Western Swing History. 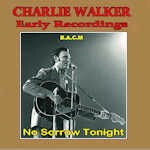 Two dozen previously unissued recordings cut in Waco, Central Texas in the early 1950s, a mix of live performances and studio demos. 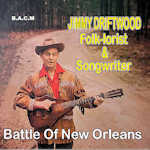 Several tracks feature legendary fiddler Johnny Gimble. 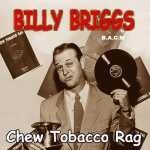 Thanks to Kevin Coffey for the research and liner notes, both for this one and for the Swinging On The Brazos CD.